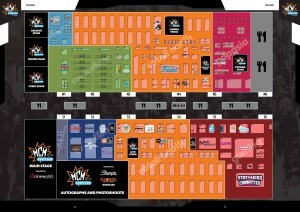 We’ve been throwing plenty of MCM London Comic Con related information at you over recent weeks, but now the week of the event is here it’s about time we gave you a full and comprehensive run-down of all of our activities during the big weekend at ExCeL so that you can plan your schedule and be suitably reminded of the plethora of reasons why you need to make the All The Anime stand your first port of call when you enter the event from Friday 25th to Sunday 27th May 2018. For starters you’ll need to know where to find us, which is simple enough – make your way to London Comic Con’s South Hall, and you’ll spy our unmissable branding on Stand #1600. As a side-note, you’ll also be able to find a small stall selling some of our products over in the North Hall, at #808. For the location of both stands – and everything else referred to over the course of this post – check out the floorplan below (click for a full-sized image). Now you know how to find us, allow us to outline why you’ll want to come and see us this coming weekend. Here’s the break-down – scroll down for more on each topic. REASON 1: EARLY STOCK OF LOTS OF NEW TITLES! Now, let’s get into the nitty gritty of our London Comic Con highlights! REASON 1:EARLY STOCK OF LOTS OF NEW TITLES! It’s become something of an MCM Comic Con tradition to offer you as many new titles as we can muster before they’ve even reached retail stores for their scheduled release date, and that’s no different this May, as we have an incredible array of new titles that you’ll be able to buy for the very first time this MCM London Comic Con. There may even be some more notable additions to this list on the eve of the event, so keep your eyes peeled on our social media channels as we’ll keep you updated about any other surprises that show up when the event starts. In short, get ready to carry some heavy bags around the venue, because we’re confident that we’ll have a lot to tempt you with! And don’t worry, we’ll make carrying all of those goodies easy – as always we’ll have our own branded bags on-hand and ready for you to fill. In October of last year, we brought a range of great Your Name branded merchandise to London Comic Con, and this May we’re looking to offer an even wider range of licensed, 100% guaranteed official merchandise for you to buy from our stand over the course of the weekend. And more besides! If you’re a fan of any of these shows, then hopefully you’ll love what we have to offer! 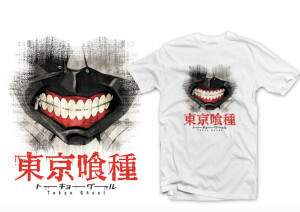 You can find full details of what we’ll be bringing to London Comic Con, and pricing of items, elsewhere on the blog. 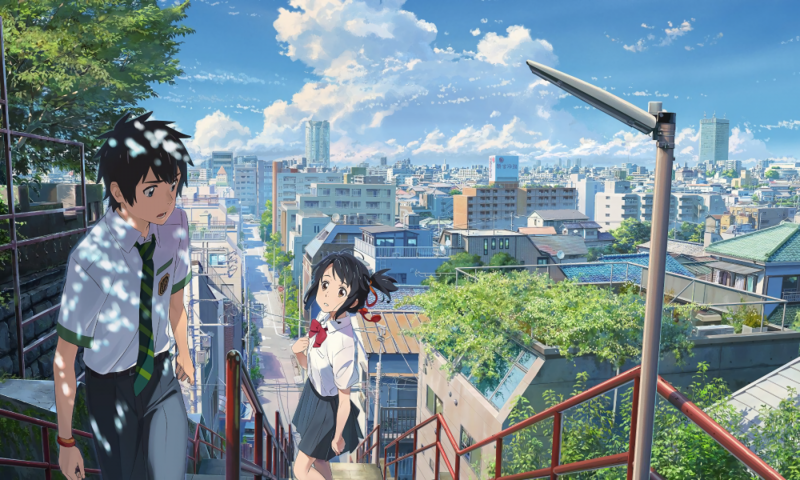 When we ran the inaugural MCM Loves Anime event in 2015, we were thrilled by how many people came to check out the various screenings on offer over the weekend and how enthused people were with the experience. 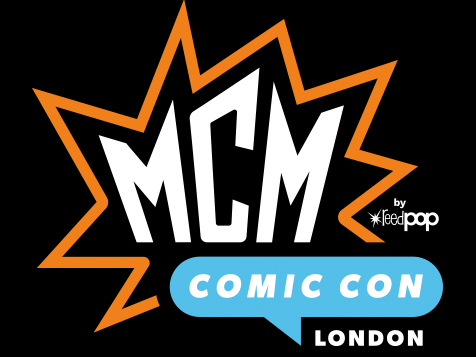 It’s something we’ve wanted to experiment with and improve upon ever since, and this May we finally get to have another crack at it, as MCM Loves Anime returns to London Comic Con! Yes, that’s right, we’re offering a chance to see Mari Okada’s directorial debut a month before the film’s general theatrical release. 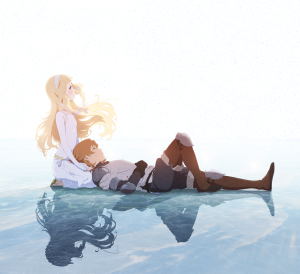 It’s a beautiful, touching and imaginative film that you won’t want to miss, so why not make it the highlight of your first evening at London Comic Con this May? ©2016 TOHO CO., LTD. / CoMix Wave Films Inc. / KADOKAWA CORPORATION / East Japan MarketingCommunications,Inc. 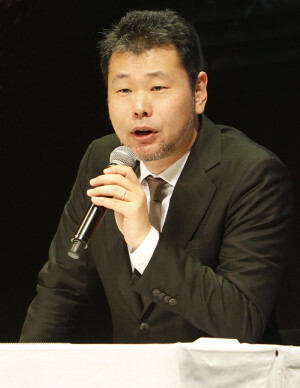 / AMUSE INC. / voque ting co.,ltd. 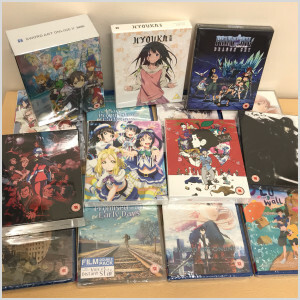 / Lawson HMV Entertainment, Inc.
It’s the smash hit film that requires no introduction – whether you’ve never seen Makoto Shinkai’s Your Name before, or you’re planning to watch it for the hundredth time, there’s no better way to spend a Saturday night than marvelling at this incredible film… so why not marvel at it with your friends after a great day at Comic Con? You can find more details on our MCM Loves Anime plans elsewhere on our blog, or you can head straight to the MCM Comic Con website right now to book tickets! If the two films above simply aren’t enough for you and you’re looking for more theatrical experiences during London Comic Con weekend, how about a UK premiere to add to the mix? Again, we continue a tradition from recent years by bringing the sixth – and final – instalment of film series Mobile Suit Gundam: The Origin to the event. Our premiere of Rise of the Red Comet will take place at the aforementioned mobile cinema in the North Hall. 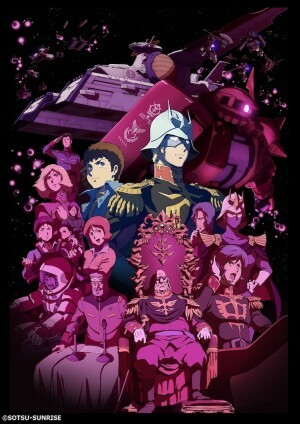 The screening will take place on Sunday 27th May at 10AM, so be sure to set an alarm so you don’t miss out on being amongst the first people in the UK to see this exciting conclusion to the Mobile Suit Gundam‘s origin story. This is a ticketed event. To acquire a ticket simply come along on Sunday morning. You can read more details on this premiere at the relevant blog post. MCM London Comic Con is always a great place to go to meet some of the greatest talents from Japan, and that’s no different this May as MCM have joined forces with us to bring a light novel author to the UK for the very first time, that being the creator of Full Metal Panic Shouji Gatou. Mr. Gatou will be attending across the main Comic Con weekend, taking part in two panels where you’ll also get to see a screening of the first episode of new series Full Metal Panic: Invisible Victory prior to a Q&A session with the man himself, as well as two signing sessions where you can get an item signed by the great man. There’s no doubt that Mr. Gatou will be thrilled to see so many Full Metal Panic fans in the UK, and hopefully you’ll be amongst them! For more details of Shouji Gatou’s activities, check out this blog post. Well, you’re in luck, because last but certainly not least we can confirm that our Marketing Executive Jeremy Graves, alongside Marketing Manager Andy Hanley, will be hosting two “Anime Limited Presents” panels over the course of the weekend, both of which will be bursting with announcements and revelations before allowing you, dear reader, an opportunity to ask them any question you like in our now-traditional no holds barred Question & Answer sessions. Whether it’s a burning industry question or an attempt to get into our psyche via the medium of our soft drink preferences, we’ll be there to answer truthfully. 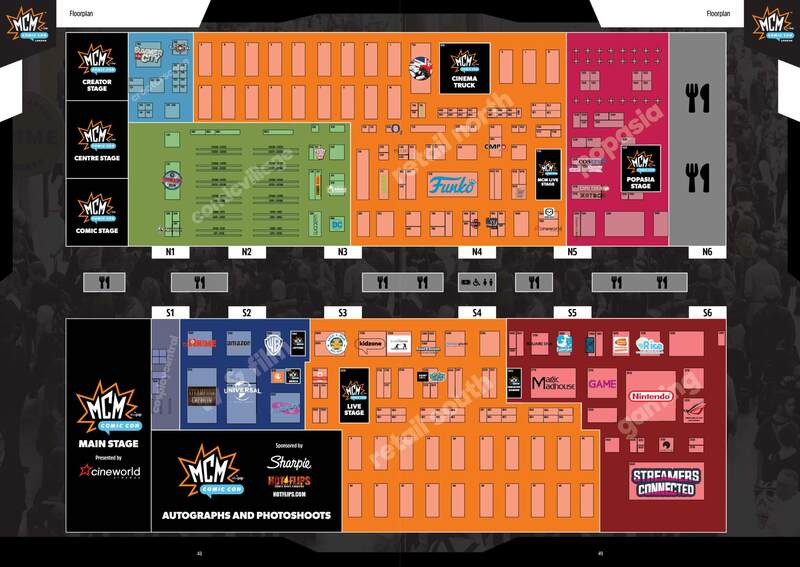 That’s everything we have for you, but we hope that’s more than enough reasons for you to come and visit us at MCM London Comic Con this May. If you haven’t booked your ticket to the event then you’ll need to act fast, so head on over to the MCM web site to do so. We can’t wait to see you all during the big weekend!